Do you dislike getting into a cold car? Would you like to walk from your home into a warm car? Clifford have now released a remote car warmer system for most vehicles so you can warm your vehicle from the comfort of your home while you finish your cup of coffee or while you’re getting the kids ready for school. Also, as long as you have left your heaters on hot the night before, when you activate the button on your fob, the engine will start safely and the heaters will start to blow*, gradually warming your vehicle and helping to defrost the windows if it’s a frosty morning. *Not available on all vehicles and may require additional parts. Do you dislike the feeling of sitting on cold seats? 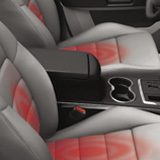 If you have ever had a vehicle with factory fitted heated seats, it’s one of the first things you miss when the new car doesn’t have them. Even if you’ve never had them they are an amazing addition to any vehicle. Here at Source we now have the solution to this. We offer a couple of different options depending on the budget. Each seat kit comprises of either a single (base or back) or twin (base and back) heat pad with either an On/Off switch or variable switch with 4 different heat settings. The beauty of this product is you can buy a single seat kit if you just want the drivers seat to be heated, or two kits for both front seats. Fed up of having to wait to use your windscreen washer jets in cold weather? Imagine this: A freezing cold day, your windscreen is dirty and smeared. A pull on your windscreen wiper stalk expecting water to spray out and clean the muck away……..and NOTHING. You know there’s water in there somewhere because you filled it several days ago. You try again, NOTHING. Without realising, you could quite easily be damaging the motor that controls the pumping of the water through to the spray nozzles or just smearing the windscreen making it hard to drive. There is now a cure for this problem, whether it’s the winter and you want to stop the water freezing and clean a frozen windscreen, or summer and you want to clean all the dead flies off quickly and easily. 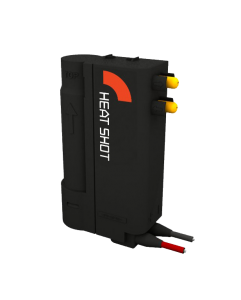 HEATSHOT delivers a warm blast of liquid that penetrates through the dirt or frost within seconds, giving you an amazingly clean windscreen within a few seconds of pulling on that wiper stalk. If you have any queries about winter warmers, please click the button below to contact us.